-US Dollar capitulates while other currencies rise Tuesday. -After Trump criticises Federal Reserve, China and European Union. -Comments unlikely to alter Fed policy but markets to watch Powell. The Dollar fell Tuesday after President Donald Trump lashed out at the Federal Reserve for its recent approach to US monetary policy, prompting fears of a slowdown in the pace at which the central bank raises its interest rate. Above: US Dollar effective exchange rate in 2018. Trump also claimed Tuesday that both China and the EU are keeping their currencies artificially weak. A weak currency improves competetiveness in trade terms by making export goods cheaper for overseas customers to buy. Trump previously threatened to declare China a currency manipulator, which would see it clobbered by fresh tariffs. US, Chinese and EU officials have been at loggerheads over international trade this year, with the White House levying new tariffs on metals exported to the US from the EU and on more than $250 bn of Chinese exports to America. The "trade war" that preceded talks has put markets on edge in 2018 as many analysts fear it will lead to an economic slowdown in China and further afield. These "trade war" fears, have helped maintain a bid for the Dollar in recent months. Dollar strength was the main driver behind a 9% decline in the Pound-to-Dollar rate and 8% decline in the Euro-to-Dollar rate over the same time period. But the greenback's outperformance has not been solely the result of trade tensions. 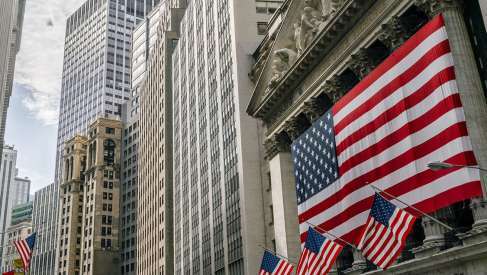 Most analysts now agree it has been driven in large part by a superior US economic performance, which enabled the Federal Reserve to go on raising its interest rate this year at a time when the outlook for monetary policy elsewhere in the world was deteriorating. However, there are now signs this could also be changing. The economic surprise indices for the Euro area and US economy are converging once again, albeit because of a series of recent disappointments in US data and not upside surprises in anything emerging from Europe. While not enough to have analysts rushing out to buy the Euro, it does remove the incentive to sell it and buy the Dollar instead. 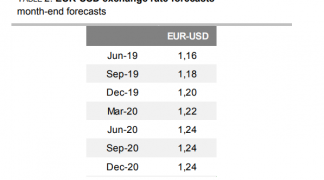 "There has been some convergence in the economic surprise indicators of the US and the Eurozone which could be EUR/USD supportive. 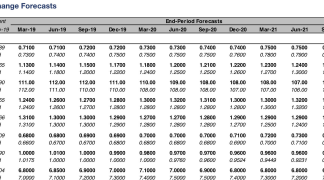 And a break of 1.1530 could carry EUR/USD to 1.1600 in thin markets – but as noted above a sustained turn-around in the bear trend probably requires a less hawkish Fed or a surprisingly upbeat ECB - neither of which seems imminent," ING's Turner adds.